Happy Birthday 2nd Etsy Dallas! This group started with a few convos from Stephanie Hindall, our fearless leader and fabulous designer. We had a trunk show that fall with like 8 vendors, where I met graphic artist extraordinaire, Pamela Michelle. Now we are putting on the 2nd Annual Jingle Bash with 50+ vendors, entertainment, free raffle, and 50 Etsy Dallas reusable grocery totes full of handmade goodies! 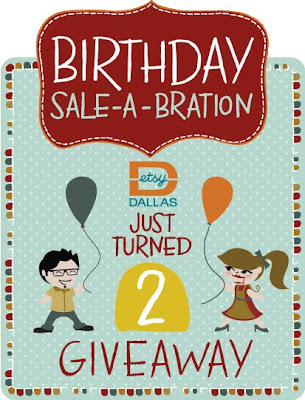 We have come so far, and now it's time to Sale-A-Brate! 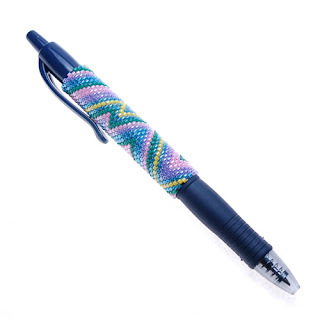 This is the pen I donated for the Birthday Giveaway. Just leave a comment on this post for your chance to win the $212 worth of handmade goodies! There are a few other ways to get extra entries, so scan through the whole post. We are having a huge online sale as well. I am offering free worldwide shipping all week! Click here to see the full list of sales. Here's to many more years of fun and crafts with Etsy Dallas. Cheers!